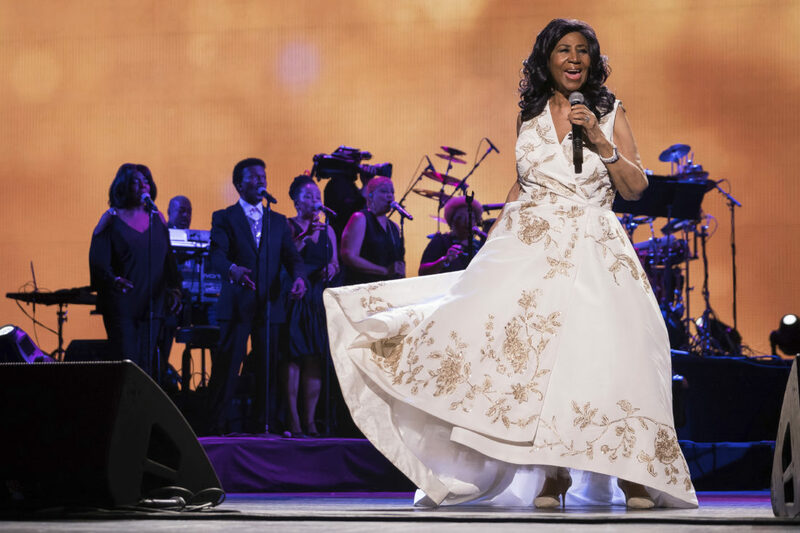 The Associated Press In this April 19, 2017 photo Aretha Franklin performs at the world premiere of “Clive Davis: The Soundtrack of Our Lives” at Radio City Music Hall, during the 2017 Tribeca Film Festival, in New York. Franklin is seriously ill, according to a person close to the singer. No more details were provided. Mariah Carey was among the celebrities who tweeted well wishes to Franklin, writing that she is “praying for the Queen of Soul.” Missy Elliott wrote that the public has to celebrate iconic artists before they die.